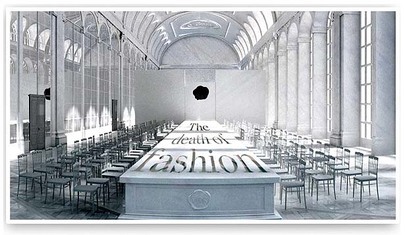 Fashion PR | The F-word. Well kind of sorta; not really. It was ONLINE, but in my defence they would have showed at Paris Fashion Week because they do every year, they just opted not to this year. Basically the two decided to debut their Spring 09 collection online on their website, inviting the fashion publics at its entirety to their show. Brilliant idea i’d say. Great outside the box thinking from their PR person, why not embrace new media? And NO, don’t be silly — this is not the death of fashion as we know it, it is making use of other mediums available to creatively reach their audiences.